As we enter the month of March, The Rebel Sweetheart also marks its third month in the blogosphere. Yay! And now that I've met the 90-day minimum requirement for most money-making programs, I can now apply for writing gigs, paid posts, and the like! Cha-ching, cha-ching! The extra cash would be very useful to feed my makeup and Kpop addiction, and to fund my blog events and giveaways. Speaking of giveaways, I have one coming up this month, in participation with Mama NYC's Good Luck Giveaway Hop. This event happens on March 14-19. That's just five days, meaning this will be a low-entry giveaway. In other words, it would be quite easy to win. And the best part? I'm opening this giveaway worldwide! As for the prizes, here's a sneak peek of what I'm giving away. Fangirls, chingus, unnis, dongsaengs, ahjummas - brace yourselves! 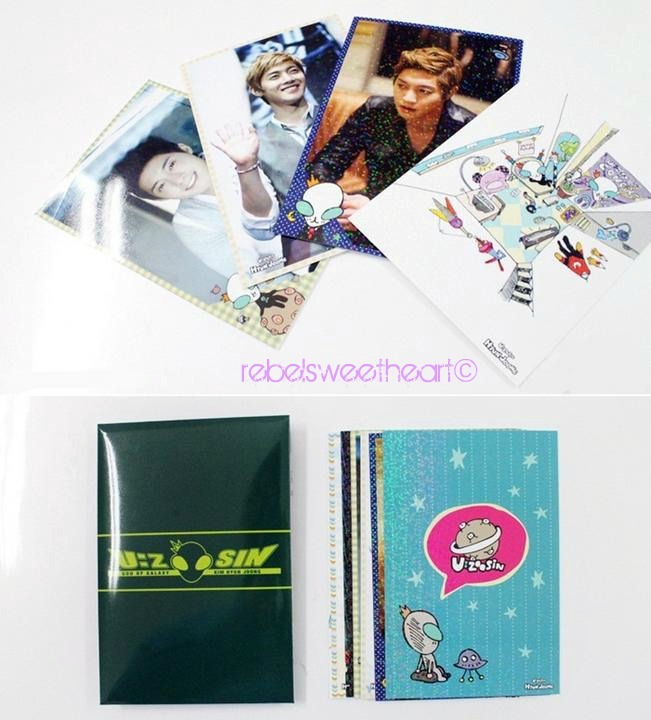 A set of Kim Hyun Joong official U:Zoosin (Volume 2) postcard set. 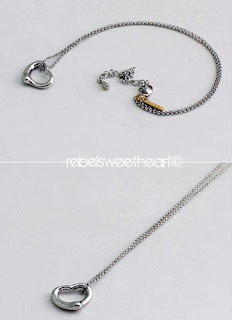 A Leeteuk-style Open Heart Necklace. 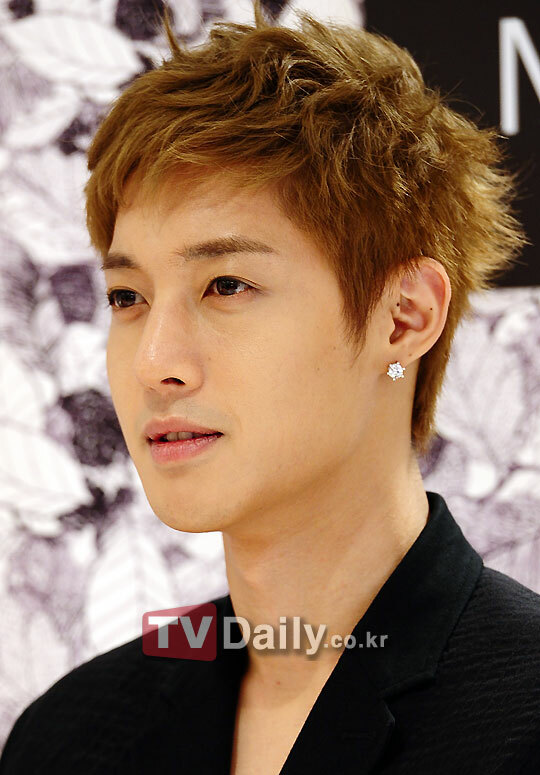 In case you didn't know, Kim Hyun Joong is the turning point (or should I say point person?) in my career (hahaha, career?!) as a Kpop fangirl. I loved him in Boys over Flowers, and loved him even more in Playful Kiss. I watched PK over and over and over that I have memorized most of the dialogues in the drama. And then there's Super Junior, my love for which has not gone unnoticed in this blog. (As evidenced in the Readers' Favorites on the left sidebar.) Before Choi Siwon, Leeteuk was my first SuJu bias. I mean, who wouldn't fall for that bedimpled smile and aegyo laugh? Anyway, back to the giveaway. There will be two randomly-selected winners - one gets the postcard set while the other gets the necklace. I'll try to figure something out with my Rafflecopter once it goes live so that the KHJ-biased don't get mixed with the Teukie-biased. We want a fair chance for all, don't we? Omo a fellow elf/ Love this necklace too.